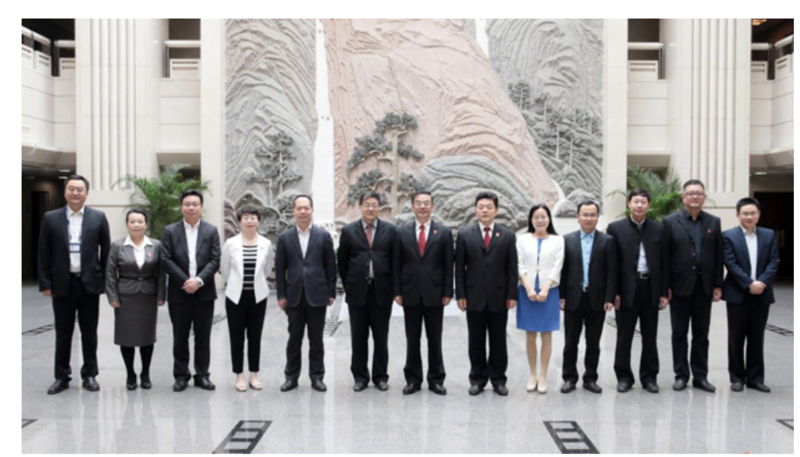 Senior Judge Jiang Huiling heads the Supreme People’s Court (SPC)’s China Institute of Applied Jurisprudence (the Institute). 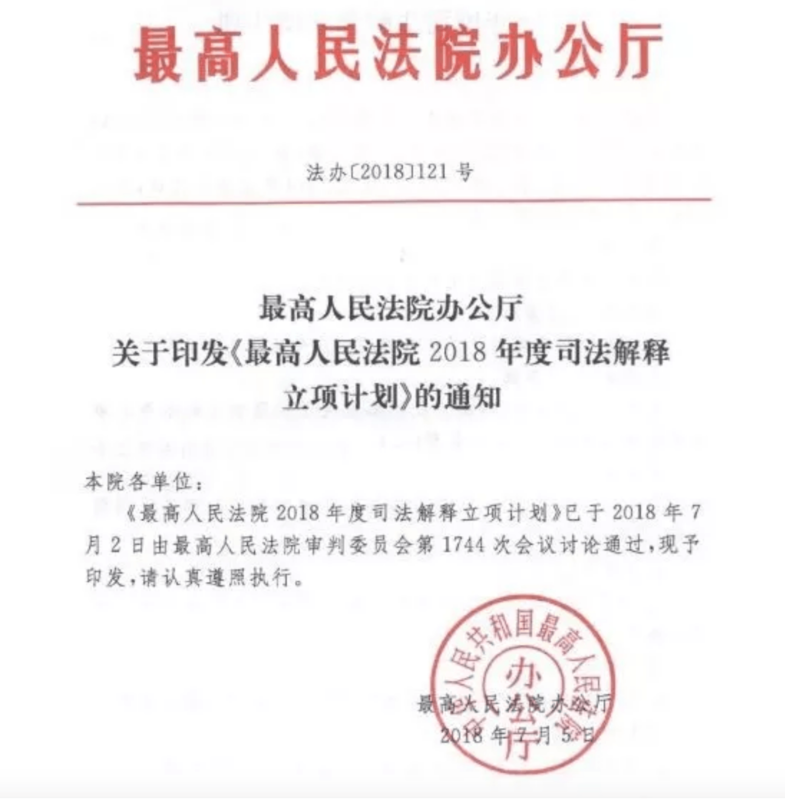 He recently published two articles in the Chinese legal and professional press (the first of which was published in the Central Political-Legal Committee’s (authoritative) Legal Daily) signaling the phraseology and goals for judicial reform after the 19th Party Congress. As the operation of the Chinese judiciary has an important impact both domestically and internationally (as well as in greater China), post-19th Party Congress judicial reform goals are important. For those who are not familiar with the Institute, it is the SPC’s in-house think tank. The Institute works on a broad variety of issues, particularly those linked with judicial reforms. Like think tanks elsewhere in the world, the Institute trains post-doctorate fellows and has its own staff. Judge Jiang is among a group of senior judges at the SPC who combines an international perspective (he studied at the University of Montreal, and has been a visiting scholar at Yale Law School, University of Sydney, and Academia Sinica) with profound experience in and understanding about the Chinese court system and how it can be reformed, given its complex bureaucratic nature and the environment in which it operates. 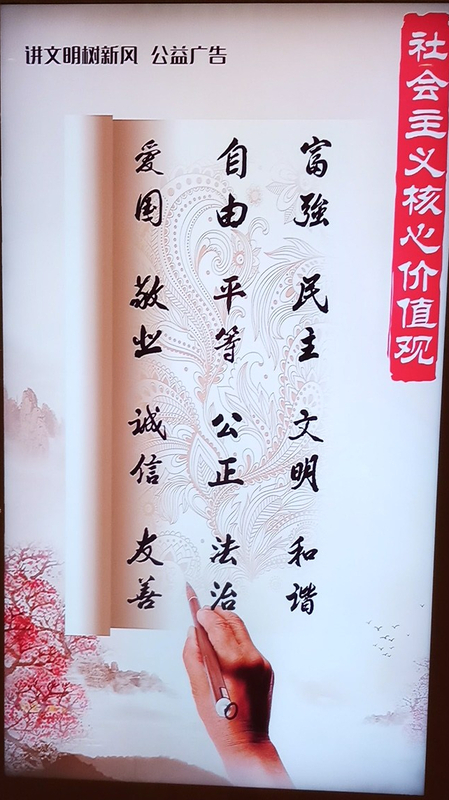 From his articles, it is clear that the new phraseology is “deepen the reform of the judicial system with comprehensive integrated reforms” (深化司法体制改革综合配套改革). The language is found deep in Xi Jinping’s 19th Communist Party Congress Report. 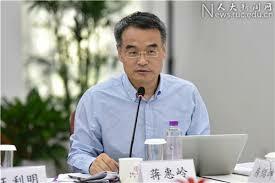 Judge Jiang mentioned that during the summer of 2017, the senior political leadership approved further judicial reform measures (including written instructions from Xi Jinping to the Central Political-Legal Committee, designating Shanghai to take the lead in piloting them, initiating a series of reforms from early November. The Outline of the 4th Five Year Judicial Reform Plan required Central approval for major reforms, so this approval should not be surprising. 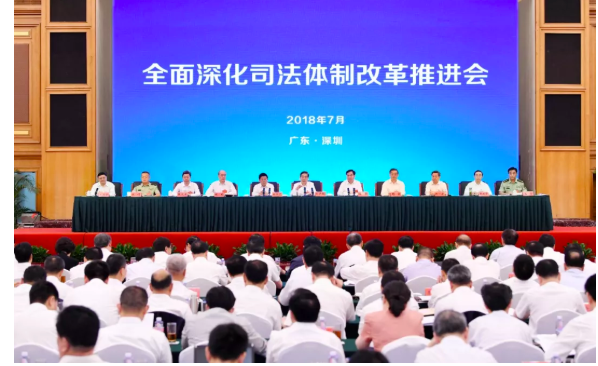 The beginning of this round of judicial reforms was also first piloted in Shanghai, so piloting these further reforms in Shanghai (as further described in this report) is also to be expected and it seems likely that piloting of reforms will continue in other places. Judge Jiang sees these further reforms as intended to implement the previous judicial reforms and classifies them into eleven broad areas. The SPC has undertaken research (designating lower courts to do so) in many of these areas (with the results to be released to the public in some form). It appears that those designing judicial reforms have realized that many judicial reforms are linked to deeper issues relating to the Chinese system. Optimize how judicial power is allocated within the courts, including the authority to adjudicate and to administer, splitting enforcement authority from hearing cases, allocating authority within offices/divisions of the court, and reallocate the functions of higher and lower courts. The way that courts have been administered has for many years followed the (traditional) Party/state administrative model. Some reforms have been implemented in recent years, but it is unclear how much will it be possible to change this, given long-standing patterns of interaction within a court and between higher and lower courts, as well as current incentives/performance indicators. This appears to be linked to point 19, 24, and other provisions of the Outline of the 4th Five Year Judicial Reform Plan . Reform judicial administration–what should the model be–centralized administration by the SPC or local administration by each court? Judge Jiang suggests China could consider models already in place outside of China. This is linked to point 62 of the Outline of the 4th Five Year Judicial Reform Plan. Improve personnel administration, such as selection of judges, retirement, rotation of positions, discipline/punishment, retirement/resignation, education/training, headcount administration, internal institutions, etc. The current model derives from the principle of “the Party manages cadres” and is linked to basic aspects of the Chinese system such as the official ranking system (官本位) and hukou (户口). Many of the matters mentioned (such as resignation, discipline, selection and headcount administration) are now controlled or operated by Party institutions–what flexibility will there be for the courts to innovate? The judicial reforms do anticipate a separate career track for judges (and prosecutors), but it is apparent that the “devil is in the details.” If there is to be cross-jurisdictional rotation of positions, what happens to the schooling of dependents and other practical matters linked with the hukou [household registration] system? An increasing number of legal professionals and judges are women. What impact would a cross-jurisdictional rotation of positions have on women judges? How can lawyers and others outside the system be fit into the official ranking system? Under the current system, more senior judges are senior cadres, often less involved with hearing cases because of their administrative responsibilities. Will later retirement for judges mean more judges in the courtroom? The retirement issue has been under discussion for some years–see this 2015 blogpost for further background. Reform the system of how judges are “cultivated” (法官养成机制), in particular, look to the practice of other civil law jurisdictions (including Taiwan) in establishing a two year judicial training system, rather than the current practice of entirely selecting judges from within and having them learn on the job, and increase training for serving judges. He mentions improving the system of recruiting lawyers and law professors to the judiciary. (This is related to points 50 and 52 of the Outline of the 4th Five Year Judicial Reform Plan. 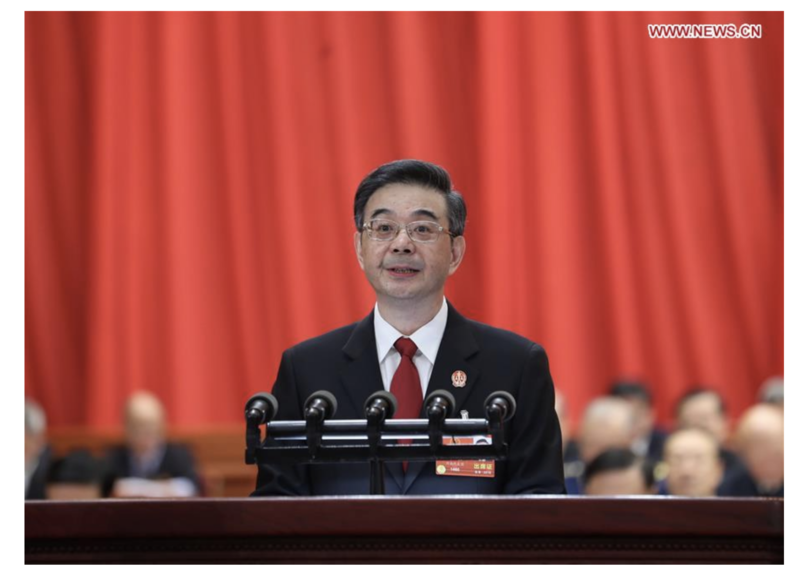 The two-year training program proposal had been mentioned by Huang Yongwei, president of the National Judicial College, over two years ago. It is linked to judicial education policy documents issued to implement the 4th Five Year Judicial Reform Outline, highlighted in this 2015 blogpost). What might be the content of this training program? From the previous policy documents we know it will include ideological, ethical, and professional training, but what will that mean in practice? There have been ongoing exchanges between the Chinese judiciary and the Singapore Judicial College– will the “beneficial experience” of Chinese judges in Singapore have any effect on the Chinese model? 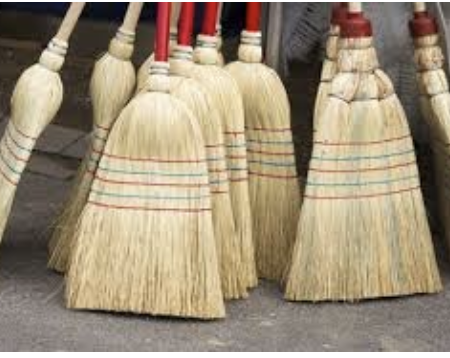 Improve judicial evaluation, i.e. benchmarking of how the Chinese judiciary is doing. Judge Jiang suggests looking to domestic analytical frameworks (by the China Academy of Social Sciences and others), as well as international ones, including the Global Framework for Court Excellence and the World Justice Project, but says there are issues with data and disconnect with Chinese judicial reality. This relates to point 51 and others in the 4th Five Year Judicial Reform Plan. Benchmarking judicial performance remains an ongoing issue, with most Chinese courts in campaign mode to achieve high case closing rates in the run-up to the New Year. 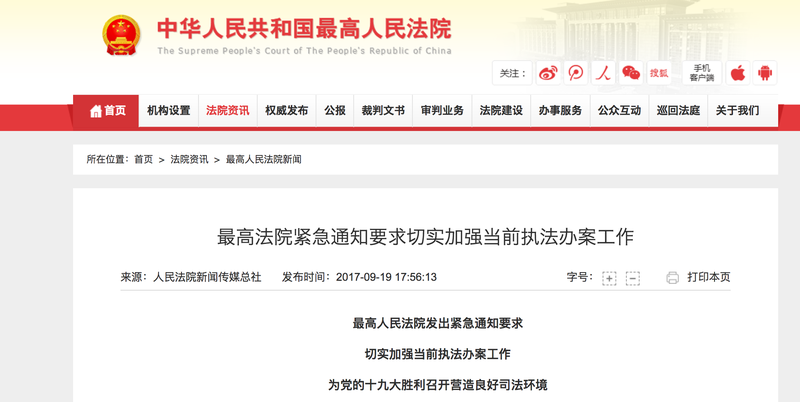 Better use of technology in the judiciary, not only big data but also use of electronic files, judicial “artificial intelligence.” For lawyers involved in cross-border cases, query when this will also imply the use of apostilles rather than the current system of notarization and consularization, as well as a more timely integration of other Chinese court procedures with those prevalent in the outside world. Pilot projects are underway in some areas regarding electronic files. Improve litigation, including “trial-centered criminal justice reforms,” pre-trial procedures, more detailed evidence rules, separating petitioning from litigation, and the use of people’s assessors. Creating a “trial-centered criminal justice system” at the same time that expedited procedures/Chinese style plea bargaining is being promoted raises many related issues as was recently discussed at a recent conference that I attended, and separating petitioning from litigation requires improvement of legal aid to the poor and better procedures for considering litigation-related petitions (see these earlier blogposts). Improve the use of diversified dispute resolution, to involve resources from other social and national resources and the market to resolve disputes, leaving only those most appropriate to be resolved by the courts. This relates to point 46 of the Outline of the 4th Five Year Judicial Reform Plan and related measures described in a 2016 SPC policy document, described here. Speed up the formation of a legal profession, including reform to legal education, examinations, etc., which Judge Jiang sees as long-term issues. From my own observations in the courts, remarks by serving judges, practicing lawyers, and interactions with recent Chinese law school graduates, reforms to legal education are needed, as is some flexibility in the career path for Chinese legal academics, which stresses a Ph.D. and academic achievements, rather than any experience outside academia. Establish a rule of law (法治) culture and environment. 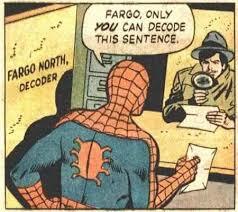 This, of course, is critical. 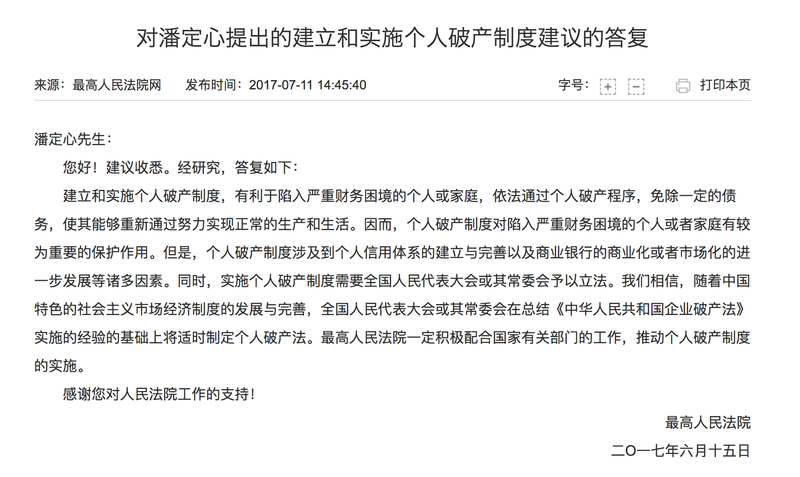 However, the difficulty of doing so was most recently illustrated in the recent clearing of “low end population” from Beijing and related legal analysis (such as this article, originally published on a Chinese scholarly site. Improve judicial administration generally, including methods of enforcing the law, legislative drafting, etc. Reforms of a grander scale appear to this observer to be difficult to implement, particularly at this stage. 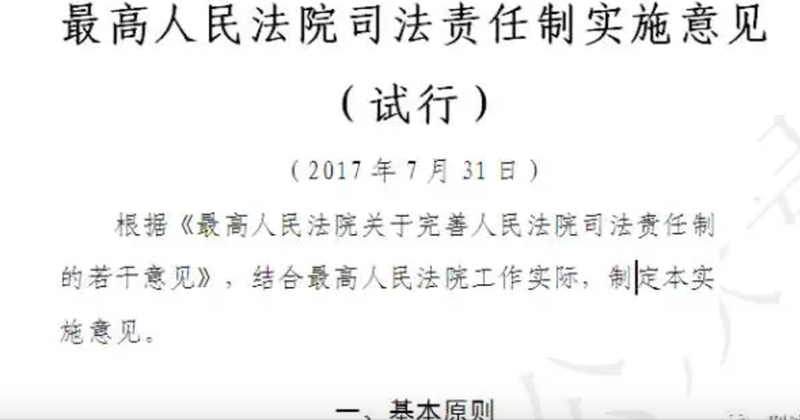 Finally, Judge Jiang says these are the broad outlines of judicial reform, but they are subject to adjustment along the way. I recently published an article in the Tsinghua China Law Review on Chinese case law in practice, building on several blogposts I had previously written and articles by fellow bloggers Jeremy Daum and Mark Cohen. Many thanks are due to the persons who shared their experience and observations with me. A special thank you is due to the persons who provided detailed comments on earlier drafts.